Looking to protect your laptop from scratches and scuffs? Keep it safe with a stylish custom laptop case. Add any combination of photos, designs, and text to make your own laptop case with our easy to use online design system. Design Custom your Laptop Sleeves here. It's so cool to make you own accessories especially when you can have a snug-fitting designer laptop bag made with your own graphic photos or text. Design it on-line and we print the flat materials and sew it up for you. That is true customization for you. You can even use our montage app and create a unique collage for each side too. Press start design above and upload some photos to try this out. This photo laptop bags are like sleeves because they are snug-fitting and have slightly stretchy rubberized wet suit material sides. 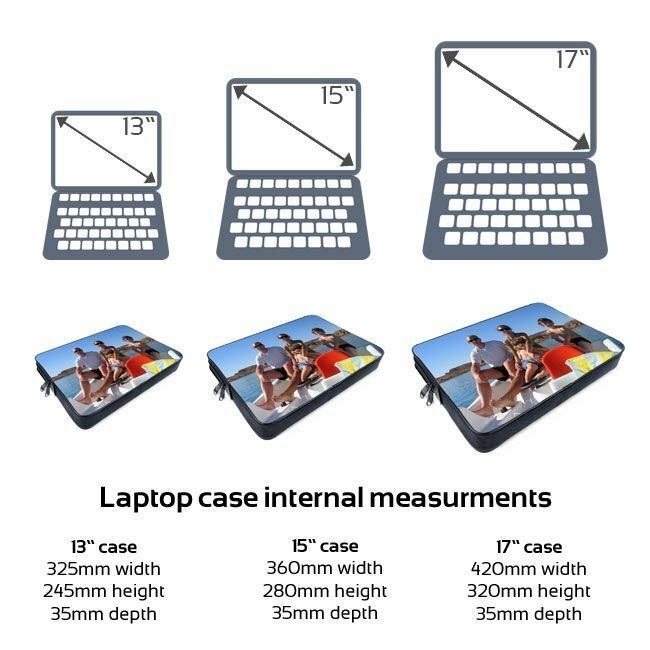 These custom laptop sleeves are light and easy to carry in hand or in another bag. I love it, its absolutely adorable. I wasn't expecting to be able to use a picture on both sides. I wish i could have gotten my messenger bag here but you don't sell one large enough. Our unique custom laptop bags are made from padded wetsuit material and finished with black piping, aided by a chunky zip and two sturdy pullers with comfort thumb tabs. There are no straps or handles. They are dispatched within three working days as standard, but they are often made and dispatched same day with express delivery. We have many customers who are designers or work in creative industries. 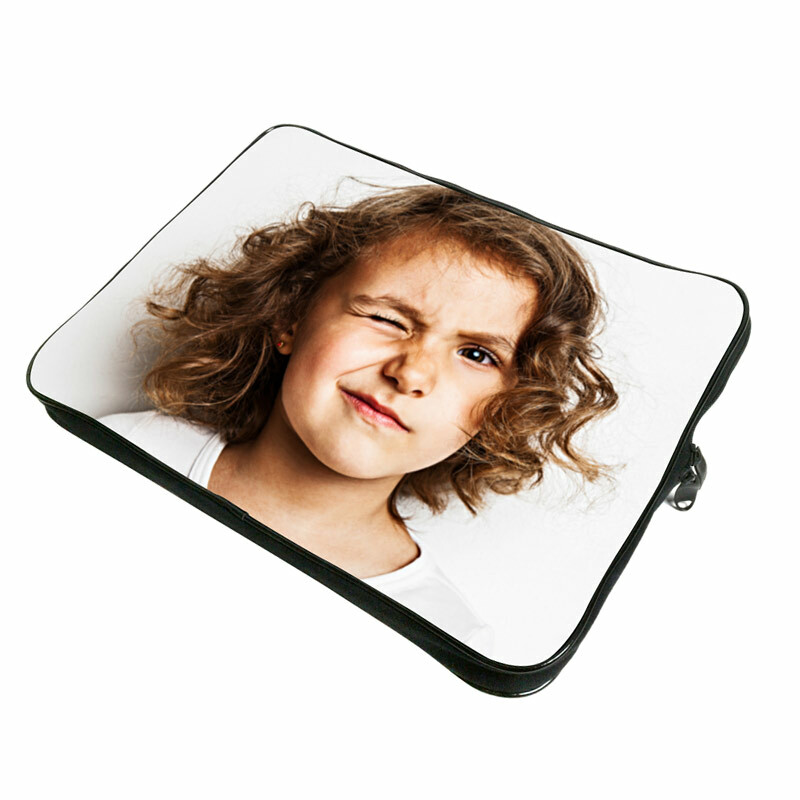 Like them, you can design our personalized laptop case online in a few minutes. Our preview and design system is really cool for showing you exactly what you will receive. Design your personalized laptop bag the way you want it and preview it before you buy it. When you choose your photo please bear in mind that approximately 0.39" of the photo print is stitched into the bag on all four sides so be sure to avoid any key subjects at the very edge of the photo. Our custom laptop bags are landscape shape, so landscape shape photos work best.